Cars Bicycle | Red | It has a strong durable steel frame. Save AED 298 (69.46%) – Earn 12 Shukrans What is Shukran? Shukran is the Landmark Group’s award-winning loyalty programme in the Middle East, which allows you to earn Shukrans when you shop any of our brands. 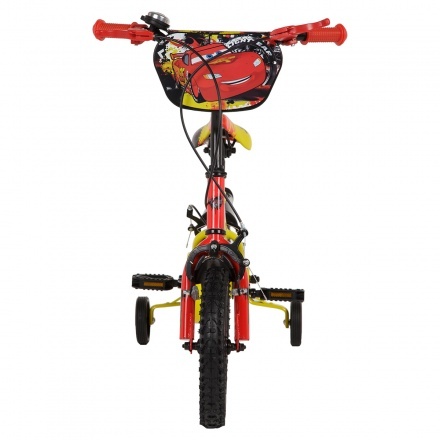 Meant for little kids, this bicycle is an excellent gifting option. Sporting a trendy shape and size, this piece will keep your kid comfortable and keep him supported with the additional learning wheels. The Cars print adds to its appeal. Feature 1 : It has a strong durable steel frame. Feature 3 : It has wide training wheels for stability and can carry up to 25 kgs. Feature 2 : It is height-adjustable.